Just 140km south of Manila, Puerto Galera is one of the most popular tourist destinations in the Philippines. 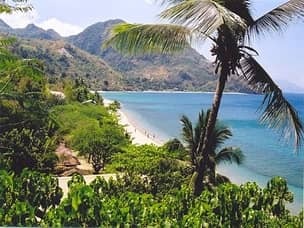 Named by locals as the “pearl of Mindoro,” the small, sleepy harbor town serves as a gateway for an endless stream of visitors seeking to enjoy pristine beaches and world class diving spots. We offer the best Puerto Galera tour packages at affordable prices, carefully created to meet your standards. Select any of the packages below, or create your own custom one, and enjoy the best deals and promos. Packages include airfare or transfer from Manila, van transportation, hotels and guided tours. We created a handful of pre-made travel packages that are sure to meet your expectations. Packages include airfare, transports and your choice of resort. We can provide a personal tour guide or simply help by offering advice and making all necessary arrangements. These packages are ideal for anyone coming from Manila, but can also be adjusted for tourists arriving from other locations. All packages are fully customizable and you can adjust them to your specific desires. We strongly recommend you combine these tour packages with other locations, and let us help you plan your entire trip. We will make sure you save both time and money – while still getting the dream vacation you deserve. One of the best things about Puerto Galera is the fact it’s suitable for all types of visitors. Couples, large groups and families will all enjoy it just as much. It’s without a doubt one of the best destinations for a quick getaway from Manila at an affordable price. Most tourists head directly to White beach or Sabang upon arrival to the Puerto-Galera pier. Both beaches are readily accessible and it is where most of the action on the island takes place. Our catalog of hotels features everything from cheap beach huts to all-inclusive beachfront resorts – so you are sure to find the best accommodation for your specific needs. Browse through our catalog of resorts and add the ones you like the most to your cart. We suggest reading first a fully detailed review for each before making your choice. If you come with family and friends, you can take advantage of our huge discounts. Just contact us and ask about our Puerto Galera family or group packages. Anyone who is planning to dive should stay at one of these main 2 beaches. That is also the case for families with small children and large groups of friends or family. Staying at the center will make it much easier to organize the best tours and attractions without wasting precious time on unnecessary transfers. Couples, on the other hand, can certainly go to a resort on a more private beach if they wish so. Book our Puerto Galera package for two and let us know if you prefer a more quiet location nearby. Flights : There are no direct flights to Puerto Galera from any other parts of the country. The Manila Yacht Club operates a sea plane that goes to Puerto Galera. We can help arrange the trip if you prefer that option. Ferry : Take a bus from Manila to Batangas pier (2-3 hours) and then an hour long ferry ride. Ferries to the white beach area leave every hour, and there are also 3 daily ferries directly to Sabang. The last ferry leaves Batangas at 4:30 pm so be there in time or you will have to stay overnight! Getting around : it’s only 5-10 minutes drive from the harbor to White beach or Sabang. Once there, you could rent a scooter for 500 Php a day. Best time to visit : Summer is between March to May, and hotels can be hard to find during those months. Rainy season in Mindoro lasts from June to October, so our advice is to try and visit between November to February – to enjoy the best weather and peaceful beaches with less crowd and tourists. Nightlife : Found almost entirely in White beach and Sabang. White beach is more family oriented but there are still many bars and restaurants. Sabang is a better place for party seekers, with its floating bars and nightclubs open 24 hours a day. Local festivals and holidays : Visitors swarm Puerto Galera during Christian holidays so try to avoid those if you can, or at least book your hotels in advance. The most notable local festival is the Banana festival (March 18-19th) – a celebration of Puerto Galera’s most popular harvest, involving various banana-related competitions, dancing and street food. All tours and attractions below can be added to your cart as day tours to create your personal vacation plan. However, we can also help you combine all of them into a complete travel package. As mentioned, Sabang and White beach are the two most popular beaches in Puerto Galera. White beach is a nicer beach, closely resembling Boracay. Sabang on the other hand attracts many tourists thanks to its exceptional diving spots, vibrant nightlife and stunning scenery. Both beaches are filled with resorts and fun things to do during the day and especially at night. Both are packed with tourists all year round, especially during peak season between April and May. Those looking for a quieter beach experience should avoid White beach and Sabang, and look for other beaches instead. There are no less than 32 different beaches around Puerto Galera, each with its own unique style and offerings. Beaches such as Talipanan, Aninuan and Palangan offer luxury resorts at much more affordable prices. The Haligi and Bayanan beaches on the other hand, are virtually uninhabited and provide a great private beach experience. For better swimmers, we recommend Buyayao Island. It is the most beautiful and largest island in Oriental Mindoro. The waters can go deep near the shores so it is not safe for kids and poor swimmers. The sands are white and fine and picnic grounds are perfect for families and friends. The waters are great for snorkeling but only to those who really know how to swim. All beaches and islands can be easily reached via short boat rides from the main touristic spots. They are also all included in our Puerto Galera island hopping tour. We will help you arrange transports to any place you choose – to make sure you get there safely and have the best time of your life! Most visitors to Puerto Galera come in search of the breathtaking marine world awaiting them. Declared a ‘Man and Biosphere’ reserve by UNESCO back in 1973, Puerto Galera offers a well preserved marine sanctuary, making it one of the best places in the world for diving and snorkeling. You can easily combine any of the diving spots mentioned below with stops at some of Puerto Galera’s most beautiful secluded beaches. Since there are so many world class dives and amazing private beaches to choose from, There’s absolutely no problem spending a whole week full of island hopping tours in Puerto Galera. It will only take you 10 minutes by boat to reach most diving spots from Sabang. 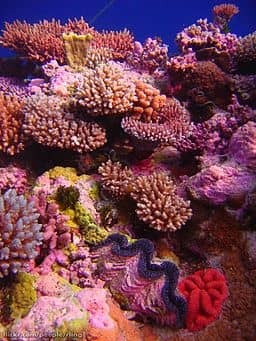 There are countless dive shops located by the shore and most resorts offer diving services as well. We promise to help you find the best diving package and ensure you stay safe, while still getting the best deals possible. There are 40 different dive sites around Puerto Galera, with varying marine life, coral reefs and difficulty levels. Most favorite diving spot is the Hole in the wall – where you descend 60 feet of illuminated water to reach the 1.5m (4.9 ft.) wide hole, covered with colorful sponges, corals, crinoids and other tiny marine animals. At the other side of the hole you will meet large schools of fish, snappers, octopuses and even the occasional sea turtle or white-tip shark. Another popular diving site is Coral gardens – one of the best snorkeling sites in the world and a great place for beginners. You can dive to 9m (29.5 ft.) deep here, and be blown away by the stunning corals and endless amount of sea life presented before you. Shark cave is better for advanced divers, who wish to meet white-tip sharks in their natural habitat. This site descends up to 90 feet with stronger currents. Here, divers will find white-tips taking a nap along with blue-spotted stingrays and spotted sweetlips. Smaller sharks gather at a ledge nearby and leopard sharks are also about a stone’s throw away. Advanced divers can marvel at the Canyons where currents are strongest and marine life is most abundant. Puerto Galera also has some amazing wreck dives. Two excellent sites for beginners are Wreck point and Sabang junk. Slow currents allow you to calmly make your way through the ship’s remains and encounter hundreds of different fish, coral and small creatures living among them. Those looking for more challenging wreck diving should check out either the Monkey wreck or the Japanese wreck – deeper dives in stronger currents that will get your adrenaline pumping. It’s best to include snorkeling as part of an island hopping package. We suggest you book this tour through us along with your preferred resort, so we can take care of pick up and all other arrangements. The tour includes stops at Haligi and Bayanan beaches and Puerto Galera’s best snorkeling sites – Coral Gardens, Giant clams and the underwater cave at San Antonio Island. This package offers a perfect mix of quiet beaches and exciting diving sites full of stunning marine life. The most popular activities in Puerto Galera during daytime revolve around beach attractions and water sports. Many resorts offer jet skis, wakeboard and para-sailing as part of their all-inclusive package. Banana boat and flyfish are available along the more popular beaches and provide a safe and fun activity for the whole family. Another great way to spend the day is hiking at one of the many beautiful waterfalls in the area. The most famous spot is Tamaraw Falls. After an hour and 40 minutes drive from the White beach you will find a series of small streams joining into a large waterfall and creating a cool and refreshing natural swimming pool below. 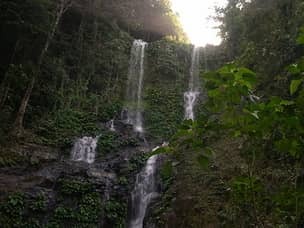 Other noteworthy waterfalls in the area include Aninuan falls, Tukuran and Talipanan falls – all of them much closer to White beach but less impressive than Tamaraw falls. Anyone already visiting Talipanan falls should consider dropping by Mangyan village – only 20 minutes’ walk away. The village is home to the indigenous people of Mindoro – the Irayas. Mangyan village is one of the very few places where you can meet those people and see how they struggle to maintain their culture and way of life. We highly recommend you book one of our tour packages with a guide, who understands how to deal with the natives and can provide valuable insights. Is Puerto Galera the right place for you? If your’e still not sure whether you want to visit Puerto Galera or not, the best idea is to compare it to the other locations. This will help you understand exactly what sets this place apart, and whether or not it suits your style. We chose to compare it to somewhat similar islands, to also provide you with some great alternatives in case Puerto Galera doesn’t offer the type of vacation your’e after. As you can see, Puerto Galera has a lot going for it. Getting there is cheap and easy, the whole holiday is affordable, the beaches are amazing, nightlife is good, and it’s a divers’ paradise. You’ll find a wide selection of resorts for any budget, and it make a great weekend escape from Manila. Boracay however is superior on most aspects. The only exception of diving sites, since Puerto Galera has some of the best in the world. Boracay is also more expensive and crowded, so if your’e looking for a quiet holiday Puerto Galera is better. Batangas province has really nice beaches as well, with budget to 5 star beachfront resorts. You will be able to dive there if you like, but if diving is your main interest just head straight to Puerto Galera instead. It’s more family oriented for several reasons: Many of the resorts are all-inclusive, it’s just a short bus ride from Manila ( hotel pickups from Manila are available), and there are many family fun activities. It’s also right next to Tagaytay – which will make a great day you can also book with us. You can also easily pair Puerto Galera with Batangas, as Batangas is actually on the way to Mindoro. by doing so you’re guaranteed an amazing vacation, and it shouldn’t take more than a long weekend to fully experience both. In order to book, or to find out whether it fits your schedule, contact our experts for assistance. How does Puerto Galera fit into your travel plan? Limited time offer : Rates as low as 60 USD a day! Puerto Galera is one of the most beautiful places in the Philippines, with stunning white-sand beaches and spectacular dive sites. It is also near Manila so combining it into your travel plan should not prove difficult. All that makes Puerto Galera one of the best tourist spots in the country and one you can’t afford to miss. We offer complete Puerto Galera packages, certain to exceed your expectations so you can have the time of your life. You can start your trip in Manila, spend a few days in Tagaytay and Batangas, then take the ferry to Puerto Galera. Once you are done there, continuing to Boracay or Cebu is quite simple. We promise to be with you every step of the way and make sure that you have the perfect holiday. Just contact us and let us know how we can help! Once you have added all items into your cart, simply click the ‘book now’ button and confirm your reservation. 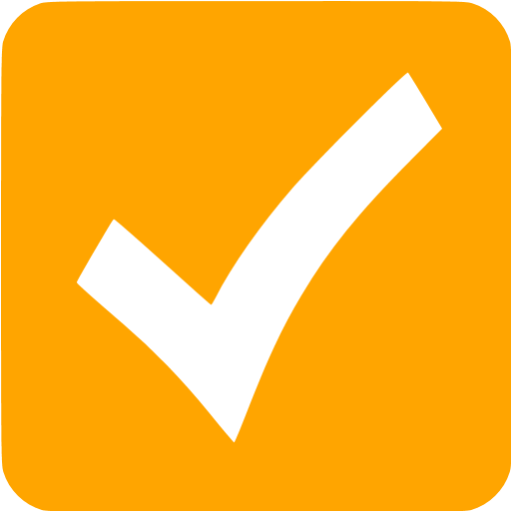 Our team of experts will then review your order, and offer their advice before any actual booking is made. We promise to help organize your entire trip so that it will include everything you have requested, but still help modify it in the best possible way to save you both time and money. Hey Tai, hope you are enjoying your stay here in the Philippines! Are you interested in tours just for Puerto Galera or would consider other locations near Manila as well? One of our agents will contact you soon and you can discuss all available offers with him. In the meantime, you can take a look at our Group tours portfolio – it’ll help you better understand what type of services we actually offer. Can you please fill in the inquiry form found here? We need more information if we are to plan your vacation. Thanks and looking forward to hearing back from you!